Birthe’s experience includes over 15 years of conflict engagement, higher education, and non-profit work in the United States and Germany. As an Ombudsperson and Director of the Office of the Ombudsperson at Georgia State University, she uses mediation, facilitation, and coaching processes to assist individuals and groups with managing interpersonal and organizational conflicts. She is a certified family and community mediator who has facilitated school-site conflict management trainings and victim offender restitution processes. Birthe has also been trained in Kingian Nonviolence by Dr. Bernard Lafayette and Dr. Bernice King. Birthe holds a PhD in International Conflict Management from Kennesaw State University, a M.A. in African American Studies with a concentration in Psychology from UCLA, and a B.A. in Education, English, and French from the University of Hamburg, Germany. She has been contributing to the advancement of the conflict management field by developing the Comprehensive Conflict Engagement Model (CCEM) and pioneering the use of the Photovoice methodology as a practical conflict engagement strategy in diverse communities. 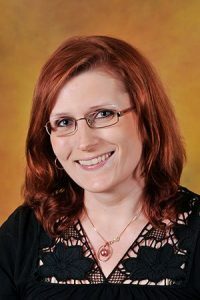 Birthe has published and presented in national and international journals and conferences on topics such as post-conflict social identity reconstruction and the interconnectedness of community engagement scholarship, practice, and pedagogy. Bethany is your first point of contact with the Office of the Ombudsperson – even before you know it! Not only will she take your calls and greet you at the door, but she is also the creative powerhouse behind the digital presence of the office. As the Administrative Coordinator at the Office of the Ombudsperson, Bethany uses her expertise in digital media and design, outreach, and customer service to introduce the campus community to the Office of the Ombudsperson and its services. She has demonstrated her passion for community service and education for university/college students in aid of homelessness, substance use, and mental health alleviation as a student, and shorty thereafter as an AmeriCorps VISTA (Volunteers In Service To America). 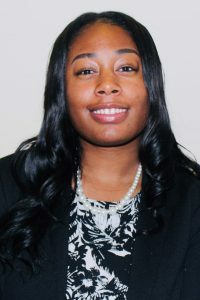 Bethany is a proud Alumna of Clark Atlanta University where she earned her Bachelor of Arts for Business Administration with a concentration in management. She plans to continue her journey in their MBA program. In her spare time, she enjoys creating works of art with acrylic paintings and graphic design.